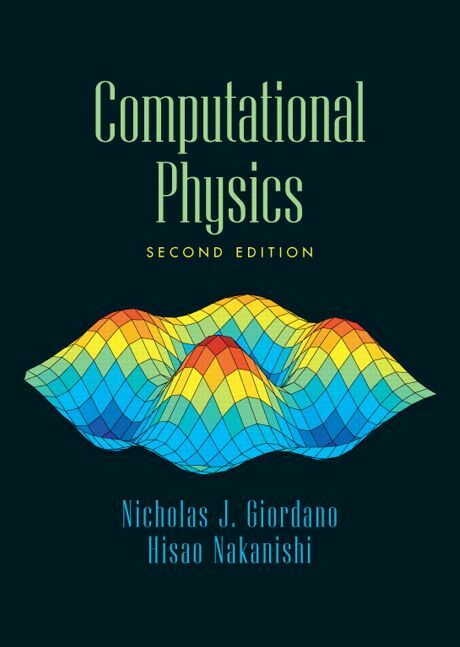 This new edition of Computational Physics expands the original greatly on both the range of the physics problems treated and the numerical algorithms described. 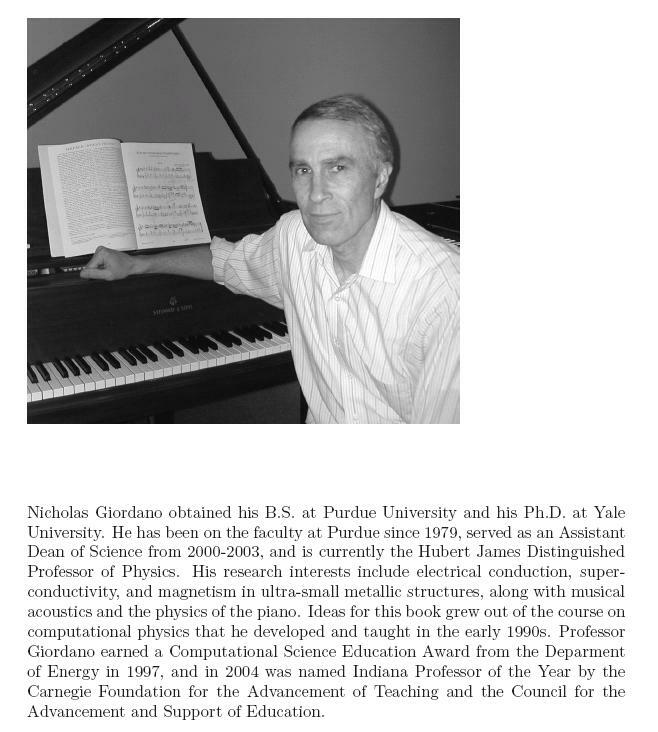 It contains a whole new chapter on the physics of music as well as several new sections such as those discussing the scaling in phase transitions, coupled nonlinear oscillators, two-dimensional time-dependent Schroedinger equation, real neurons, and cellular automata. In addition, a series of self-contained appendices that elaborate on the various numerical algorithms and theories behind them are given including one that discusses the solution of linear systems, a topic that was little touched in the original edition. As discussed in the book, the language choice is always an issue in numerical work. Although sample programs provided in these web pages are mostly in True Basic and Fortran. (A free compiler for many languages including Fortran is available in GCC.) We are not promoting either of these languages. They are used simply because they have certain strengths that make them useful as samples (such as the good built-in graphics in True Basic and the wide-spread familiarity with Fortran among the scientists). Over the years of our teaching a course based on these materials, many students used other languages to great effects, such as Java, Python (VPython, a 3D graphics enabled Python), C, and C++. We consider graphical presentation of the results to be an important part of much of the numerical work. This is not only true for the demonstration purposes and for quick grasp of the main features of the results, but also true even for most demanding numerical calculations in some cases. As a result we include graphics in many of the sample programs/algorithms in the book and in these web pages. Some languages (such as Java and True Basic) have built-in graphics, but others lack them (such as Fortran and C). In the latter case, the choice is usually either to link to a graphics subroutine library or use your programs to produce/save numerical data only and then plot them later with a stand-alone graphics software. Both approaches are perfectly acceptable as long as you have a way of visualizing the results in the end. Mistakes and typos: nobody is perfect - errors are bound to be found either by us authors or by you the reader. As we collect them along with your remarks and comments, we will compile them. Please click Errata to view them. (Printable version) Any error is too many, but with your help, we already caught a fair number of them. We hope to correct them if we get a chance for a second printing, or certainly for a third edition if one comes along. 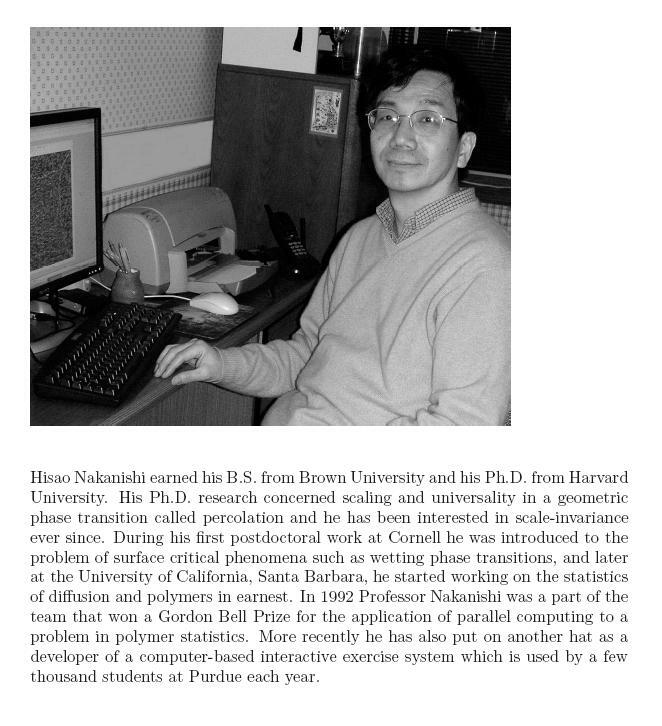 If you find an error or would like to make some comments on the material, please inform us by email or other means, via the address given above, or simply click Nick Giordano or Hisao Nakanishi.